Advancements in science and technology generate more jobs in STEM fields every day. But what about women in STEM? First, let’s look at STEM fields in general. According to a 2011 U.S. Department of Commerce research report, STEM occupations are projected to grow 17.0 percent by 2018, compared to 9.8 percent growth for non-STEM occupations. This is good news for college students seeking STEM degrees. They are able to find jobs — well-paying jobs. STEM professionals generally earn more than their non-STEM degreed counterparts. A 2014 U.S. Department of Education report looked at four years of data on college graduates and found that STEM majors on average earn $65,000, while non-STEM majors earned about $15,500 less. So why don’t more students pursue STEM majors? Too many college students lack knowledge about the variety of paths to STEM professions and the foundational requirements to successfully pursue STEM majors in college. This lack of knowledge and awareness is pronouced among both male and female first-generation students. It is especially acute among female first-generation college students given that young women are generally underrepresented in STEM fields. Only 32 percent of all degrees awarded to women are in STEM fields. That number is disproportionate to the overall percentage of women enrolled in U.S. community colleges, four-year colleges, and universities. Many young women do not know about educational pathways to STEM professions, and do not believe they can succeed in STEM careers. There is a persistant STEM gender gap in the United States. Why? Research shows the gender gap in STEM starts early. Teacher stereotypes that girls cannot excel in math and science are apparent as early as 2nd grade. By high school, these stereotypes affect choices in math courses made by girls. Too many believe they are unable to do math, even though testing data show similar achievement distributions among male and female students. These biases and stereotypes can have an negative impact on building the foundations in math and science necessary to pursue STEM majors in college. Interventions and mentoring are especially important for female students, especially first-generation students. First-gen female students need to know that women, especially first-gen women, can succeed in STEM professions. The STEM gender gap continues when young women make career choices. They often perceive STEM professions as difficult environments for women, paying less than men and lacking the flexibility they desire in their personal and professional lives. The United States has a long way to go to close the gender gap facing women in STEM. As a first step, we need to identify gaps in various U.S. states. 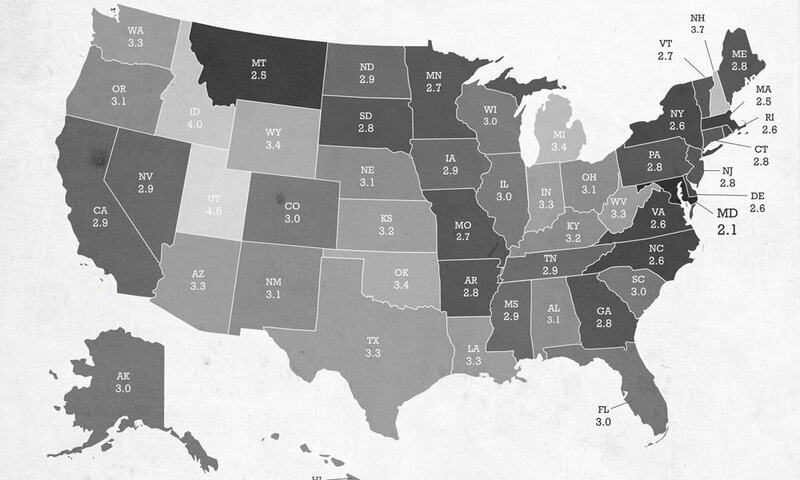 How wide is the gender gap in your state? In my home state of New Jersey, for every woman working in a STEM profession, there are 2.8 men. Look here to see how the STEM gender gap measures up in your state.